Properties in Piazza Alfieri average 4.7 out of 5 stars. Property 1: Fantastic House in Monferrato! 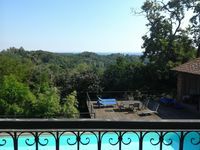 Property 9: Beautiful nineteenth century villa on the hills of the Langhe and Monferrato. 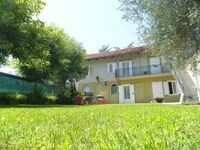 Property 11: Historical farmhouse in the green of Asti Monferrato. Property 14: Canale d'Alba, in the heart of Roero and Langhe: wine, food and relaxation. Property 17: Traditional farmhouse of the end '800 independent on all 4 sides. Beautiful house nestled in the heart of Monferrato. Property 44: Beautiful house nestled in the heart of Monferrato. Clean, comfortable farmhouse style accommodation in the heart of Piedmont vineyards. Gabriella provided great advice on what to see and do in the region as well as providing some food and drinks to help us settle in. Would definitely visit again..